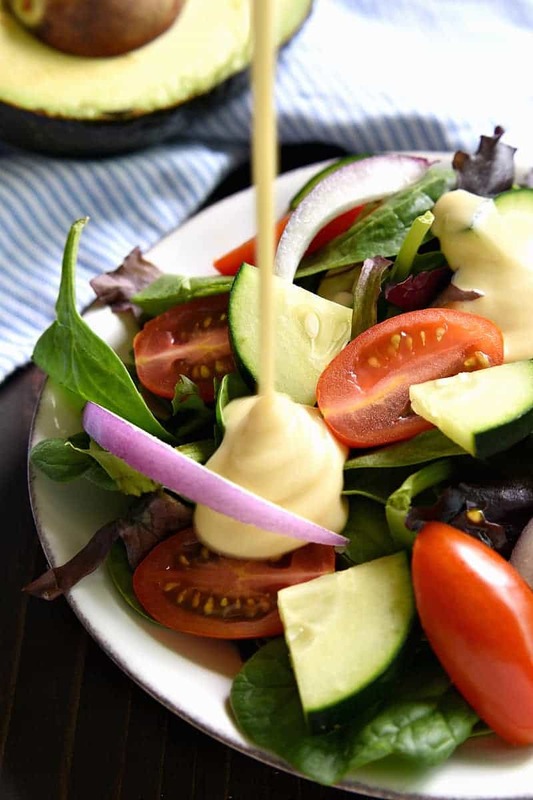 The BEST Honey Mustard Salad Dressing – made with just 5 ingredients and ready in no time at all! The perfect topping for any salad….and it also makes a delicious dip! So. Are you ready for football season? Because, like it or not, it’s literally right around the corner. To be honest, I always have mixed feelings about it. Because there’s something about football season that’s cozy and fun and inevitably leads to having friends over more often…..and yet, if you’re anything like me, it gets to be just. too. much. And by the time January rolls around, and every one of our weekends is STILL consumed by football……well, it gets a little old. And I get a little cranky. And no matter how delicious football food is…..the truth is I’ve had enough of it. Which is precisely where this Honey Mustard Salad Dressing comes in. Because not only does it make an awesome dip for football food….but it (obviously) makes a delicious topping for any salad. So football season doesn’t have to be ALL football food ALL the time. When you combine mozzarella sticks and chicken wings with salad….it’s basically healthy, right? Ok, maybe not. But at least you’re getting some fresh veggies into the mix. 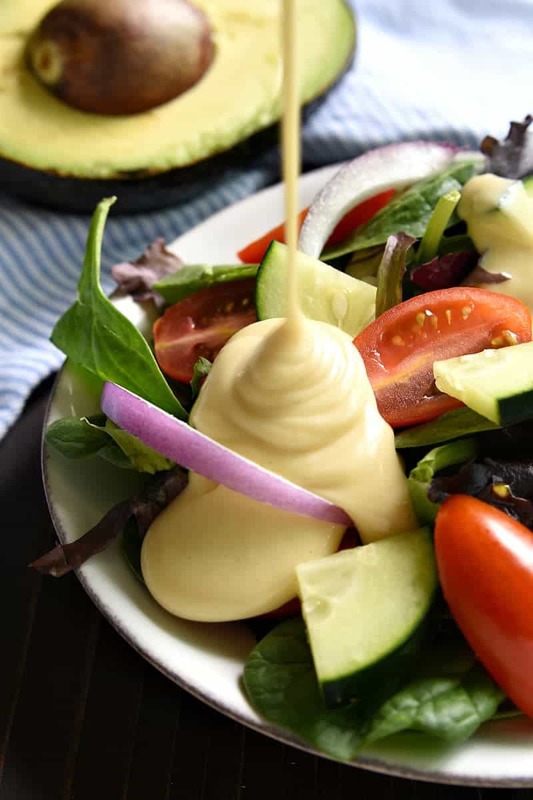 This Honey Mustard Salad Dressing is made with just five simple ingredients and comes together in a snap. And it really is equally delicious as a salad dressing OR as a dip for all your favorite foods! 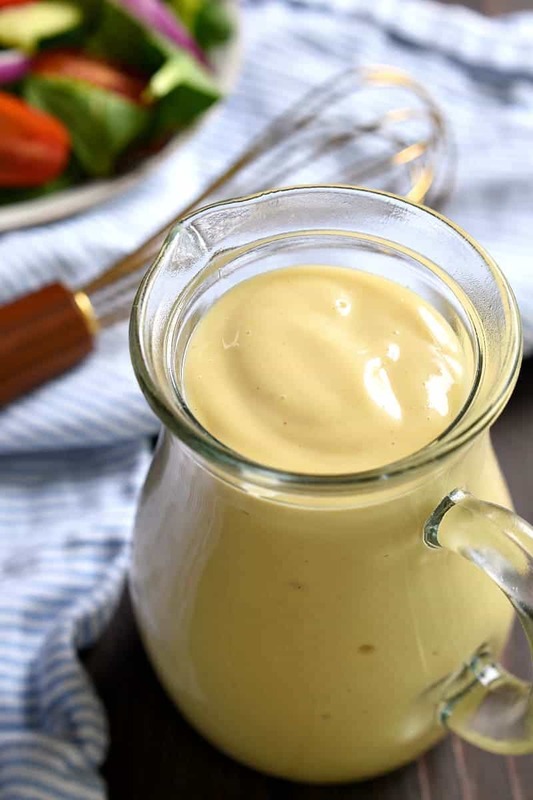 The BEST Honey Mustard Salad Dressing - made with just 5 ingredients and ready in no time at all! The perfect topping for any salad....and it also makes a delicious dip! Enjoy on top of your favorite salads or as a dip for all your favorite foods! Can you tell me how long this would last in the frig? Thanks!! It will last quite a while….the ingredients all have a long refrigerator life! 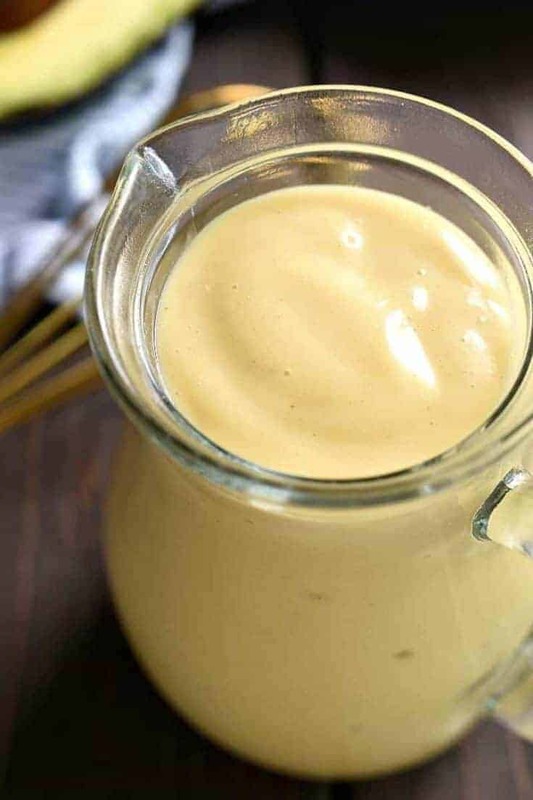 My son is crazy about honey mustard sauce, so I can’t wait to make this! 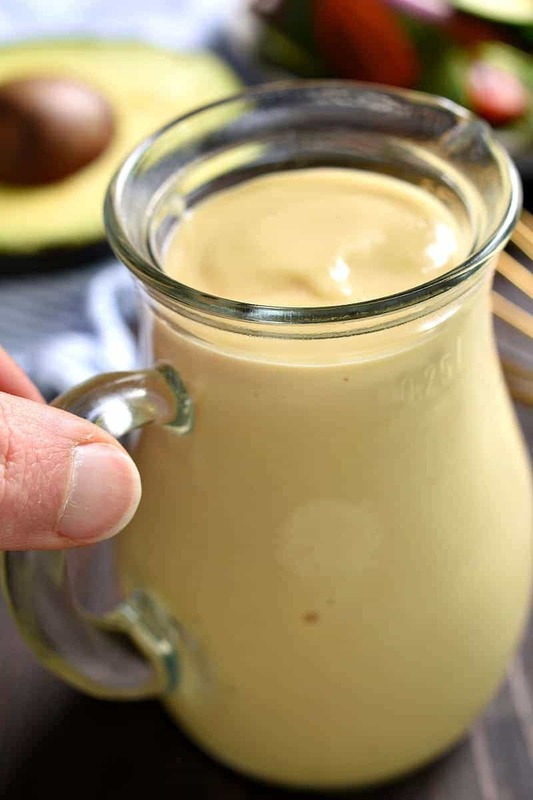 This honey mustard looks amazing! Honey mustard is my daughter’s favorite! This salad dressing is everything I ever wanted! Thi is such a great idea! I will try this dressing with a grilled chicken salad! Looks perfect! I haven’t tried this yet but look forward to doing so. What would you replace the mayo with if you wanted to make this a little lighter? Kids ate salad with this dressing and then were violently ill. Will likely not make again.